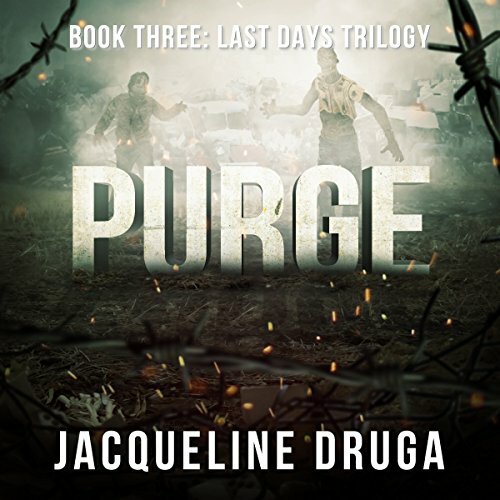 Voir les résultats écrits par "Jacqueline Druga"
Purge is the third and final book of the Last Days Trilogy. Billions of lives have perished. 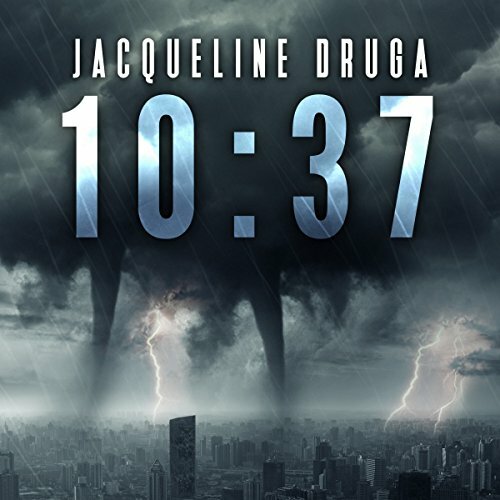 The earth is decimated by plague, earthquakes, and other natural disasters. All at the hand of Devante. While life around them dies, humanity has not given up. Led by Michael the Archangel, Reggie Stevens and Marcus Leon build an army to defeat Marcus’ greatest achievement and biggest mistake. The fate of the world and humanity are at stake if the small army fails. In a bid to repair the relationship with her son, Audrey Fields plans a getaway for the two of them at a remote, off-the-grid campsite. No electricity, no phones, no distractions. 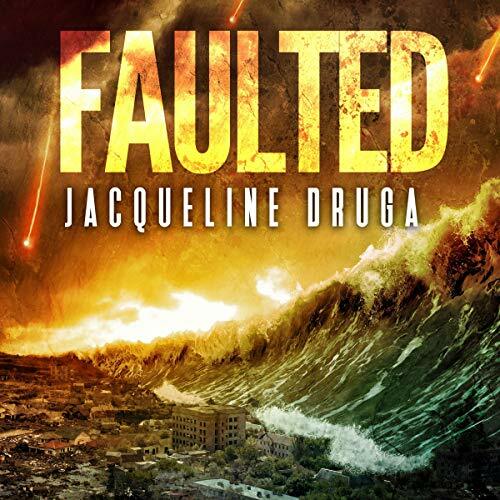 When things don’t go as planned, Audrey begins her journey home, only to make the horrifying discovery that 90 percent of the population has suddenly died. Whatever happened sent cars spiraling out of control and planes falling from the sky. 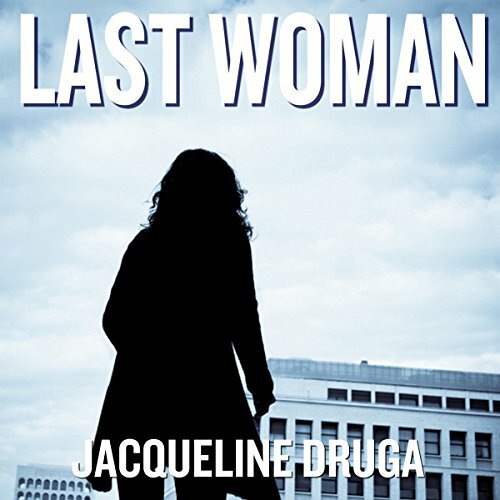 Alone and separated from her family, Audrey is soon joined by two other survivors. 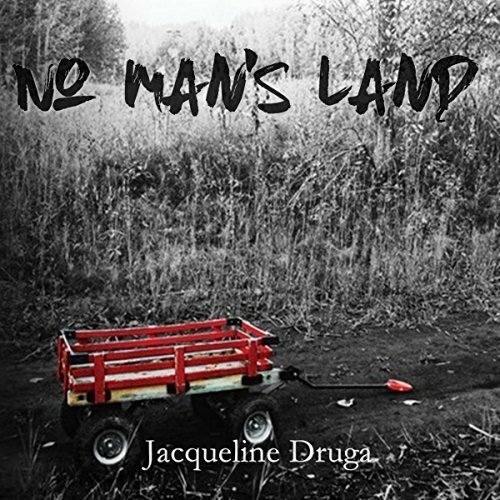 Their trek across Virginia is a nothing less than walking through a minefield. 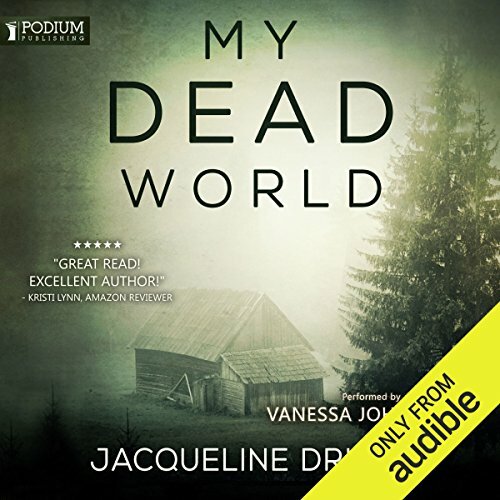 This audiobook includes both books from the Rectify series. 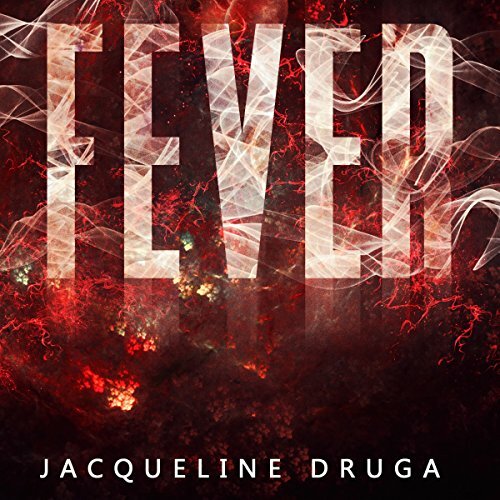 From Book 1: The virus CO-D4 rages across the globe with debilitating effects. Authorities, scientists and medical personnel scramble to find a cure. Those who fall victim to the virus, experience a fast and insufferable death and then they come back. 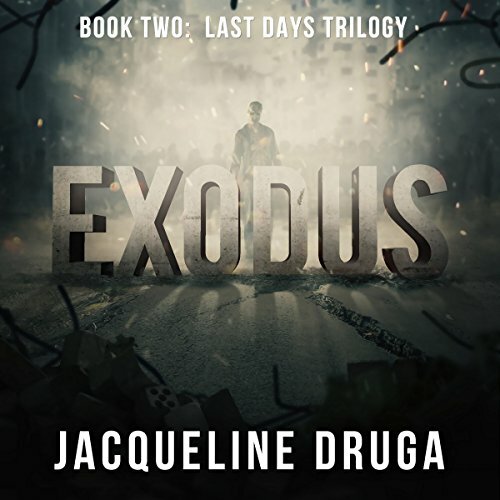 From Book 2: When the CO-D4 virus rages across the globe, it not only leaves behind death and destruction, it creates three types of survivors. Those who want to see the infected die, those who want to help the sick, and those who want humanity to rise above it all. For the first time since his divorce, CJ will be able to take his son on a vacation. Along with his father, they make it a guys’ trip to the west coast. Little do they know their trip that is intended to be a lifetime of memories would include facing insurmountable odds. The lack of warning leaves everyone in the dark about what has occurred and vulnerable to all that unfolds. It doesn’t stop with the meteors. 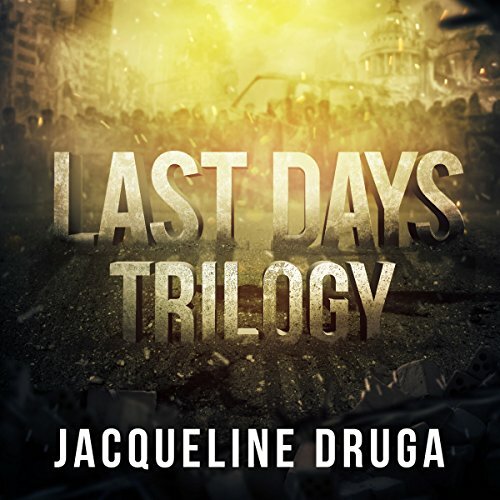 The disastrous events come one after another, a domino effect of annihilation. Led by his curiosity and fueled by intelligence, Dr. Marcus Leon embarks on what he believes is the greatest scientific experiment of all time. One that ignites a firestorm of controversy. 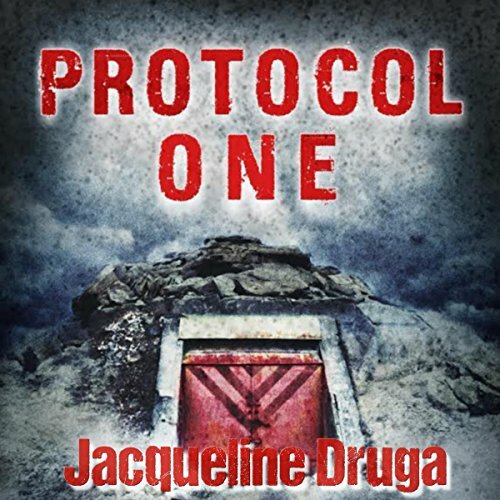 Marcus intends to extract DNA from the blood trapped in the Shroud of Turin. The experiment is a success and the masses embrace the clone as the embodiment of Christ, failing to recognize that science can replicate the body, but cannot touch the soul. Devoid of this essential spirit, the clone is nothing more than a directionless vessel in need of a captain. A position quickly filled. The arrival of the clone begins the end to all humanity. When an outbreak of H7N2, or as the news calls it, Whitby Fever, begins striking cats and dogs, it is newsworthy but not panic-inducing, until it is confirmed that Whitby Fever has crossed the boundaries, spreading from domestic pets to humans at an astronomical rate. Mills Run, Ohio, is not much different from any other small town. The residents have a bond and kinship. The townspeople brag that Mills Run is isolated, and at times, cut off from the rest of the world. However, not even Mills Run is secluded enough for a global pandemic. Following his successful experiment of extracting DNA to clone the image upon the Shroud of Turin, Dr. Marcus Leon faces a world torn asunder. The clone takes the name Devante and assumes a role of great power. His presence and deception bring about biblical-like destruction upon the Earth. While Devante seems unstoppable, only one person, his creator, Marcus Leon, holds the key to ending it all. But can Marcus survive not only the forces of nature, but the forces of Devante and build the army needed before it’s too late? 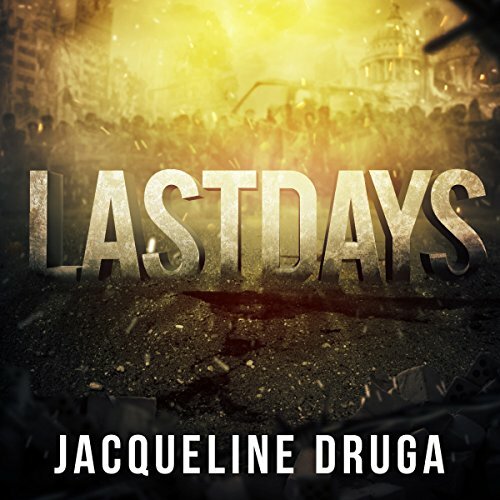 A global outbreak has brought humanity to the brink of extinction, and mankind fights an ongoing battle for survival. 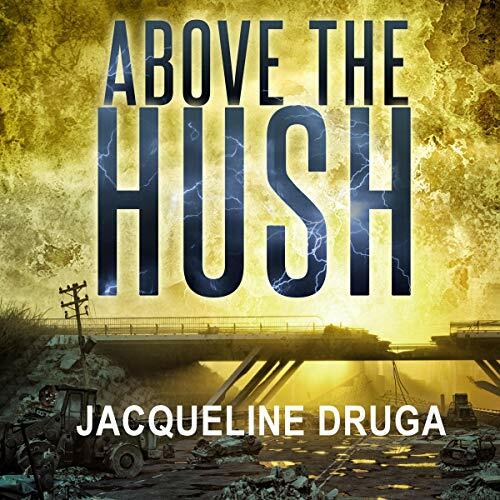 When a group of American soldiers return home from deployment infected with a highly contagious pathogen, a massive outbreak is inevitable. The ground-zero incubation period is lengthy, and before it is even known that they are infected, the soldiers have already carried it to various cities across the United States. The infection spreads like wildfire. The ultimate biological warfare attack is achieved when a group of American soldiers return home from deployment infected with a highly contagious pathogen. The ground zero incubation period is lengthy, and before it is even known that they are infected, the soldiers have already carried it to various cities across the United States. The culprit of this weapon is not a country or even a person, but rather nature itself. Within time, no place in the world is safe. When Leah and Calvin found out they were expecting, they were over the moon. That day would be one to remember forever… but for more reasons than one. That was the day the world changed. That was the day joy turned to fear. 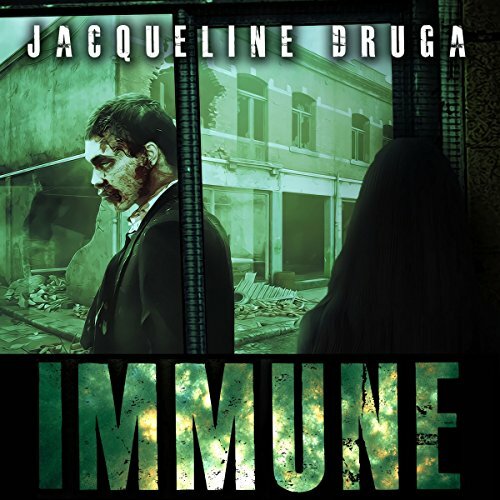 A deadly virus broke out, with many of those infected becoming violent and uncontrollable. And it was spreading fast. Realizing they are no longer safe in their own home, they make a break out of the city to find sanctuary. But when Leah is bitten, Calvin faces the unimaginable struggle of having to take care of their newborn alone. 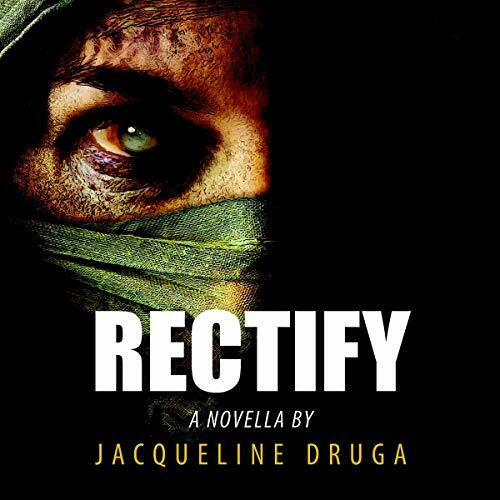 Traveling with the baby and his dead wife in tow, he comes across Hannah, a young girl who lost her family to the virus. They make their way across country together, meeting others trying to find their own sanctuary. They eventually find safety but Calvin soon realizes all is not as it seems and he must make an agonizing choice. Led by his curiosity and fueled by intelligence, Dr. Marcus Leon embarks on what he believes is the greatest scientific experiment of all time. One that ignites a firestorm of controversy. Not only does Marcus intend to extract DNA from the blood trapped in the Shroud of Turin, but he will clone the image upon it. The experiment is a success, and the masses embrace the clone as the embodiment of Christ, failing to recognize that science can replicate the body but cannot touch the soul. Judd Bryant, a survivor who does not succumb to the horrendous death, is a talented man with a zest for living. 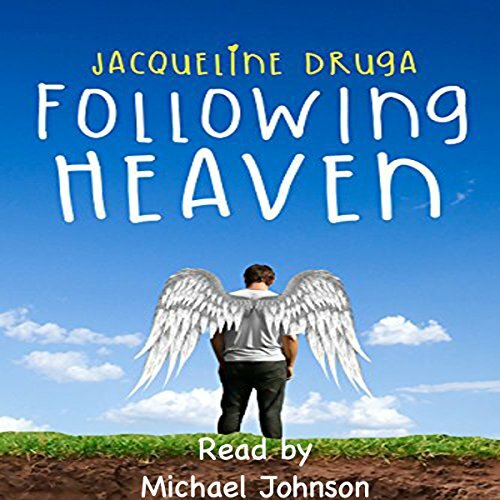 He faces his darkest hour until he finds a purpose in the form of Dawson, an eight-year-old boy with an unusual gift.The unlikely pair set out to find others, only to realize that each passing day is increasingly more dangerous than the one before. 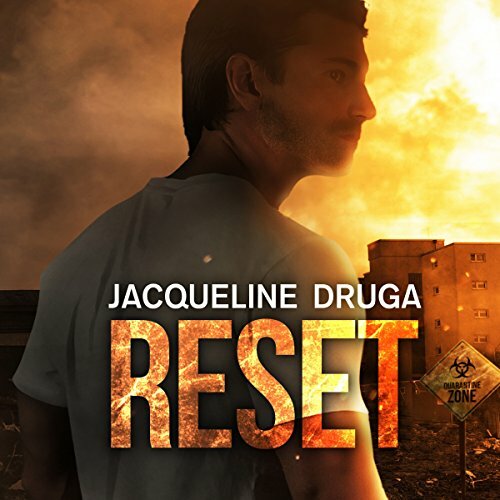 Their road becomes an obstacle course filled with unimaginable disasters. On the eve of an extinction-level event, Anna Jenner's survival is almost assured. All she has to do is travel with her son from Midland, Texas to the designated safe zone out east, picking up selected essential personnel on her journey. Her job is to lead and bring the chosen few to the sanctuary. A comet is on a direct collision course for earth. Its impact will bring global devastation. 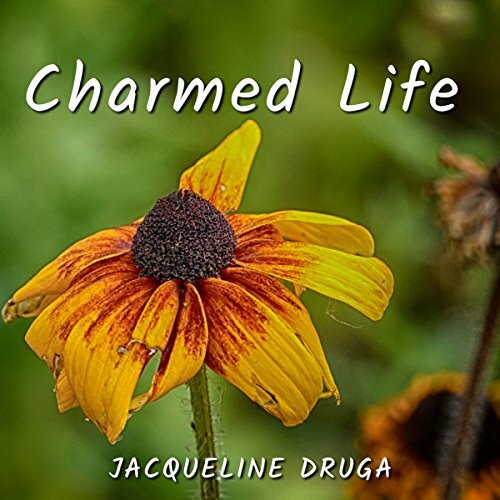 By the time Nick Morris realizes the grave error he made in leaving his wife Jessica, not only has she happily moved on but, unfortunately, Nick dies. Nevertheless, because of the manner Nick passes from this earth, he is given a grand opportunity and afforded the chance to be Jessica's guardian angel until he earns his wings. Nick believes that hanging around Jessica just a little bit longer isn't that bad of a deal until he realizes Jessica can see him and things get complicated. 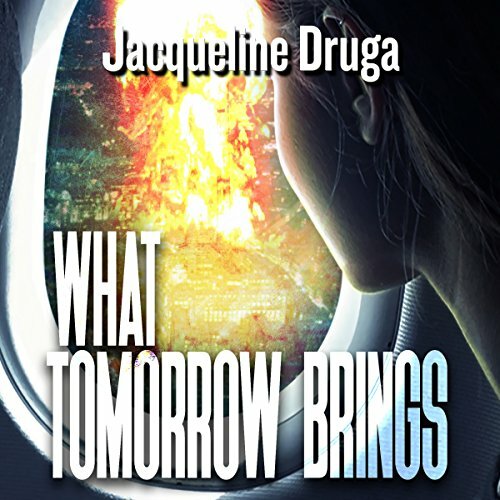 In the midst of a bitter family feud, the much divided Rolland family is thrown together when news of their father's untimely passing places them on a red-eye flight from Seattle to Washington D.C. Although, they are physically close in the tight space of the aircraft, Rege, Mark, and Kit are at their farthest distance apart emotionally. Until the unthinkable happens. Two hours into the flight, missiles streak across the star-filled sky, the detonation of a nuclear warhead causes the plane to make a forced landing. Since childhood Nila Carter has been made to spend every weekend at the family cabin. In her teenage years she believes it to be a prison; as an adult it becomes her sanctuary and means to survive. 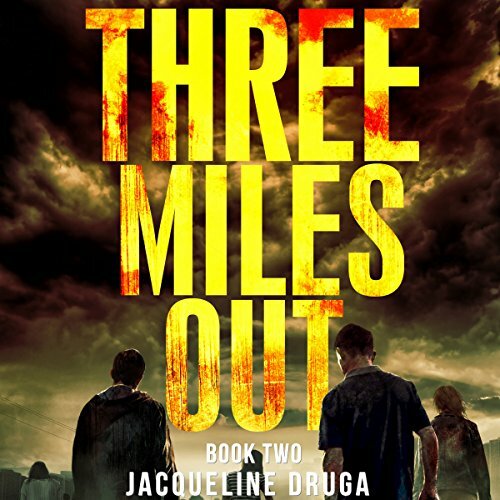 When a mysterious outbreak occurs in India, Nila's brother, Bobby, a virologist with the CDC, places the family on a precautionary alert to be ready to bug out. Unlike anything he's ever seen, the rabies-like virus is not just deadly; it causes extreme violent behavior in those infected. After emerging from a coma, Faye Wills opens her eyes to complete darkness and the feeling of being trapped. Soon she discovers she is in no less than a nightmare world and awakens in the worst place imaginable. She is one of thousands of bodies in a makeshift mass grave that was once a football stadium. Left for dead. There are no signs of life and the only sound she hears is the buzzing of flies that follow the stench of death. Nature is unpredictable, as are viruses; when one so volatile surfaces with a vengeance, there is little time to comprehend the devastation and even less time to do anything about it. In the wake of the virus, there are three types of people: those immediately infected, those who are vulnerable, and those who are immune. The initial infection ripples across the globe infecting half of the world's population. A small fraction of the ill are fortunate and die quickly from the disease. In an attempt to control and decrease population, a mutated form of the measles is released. As a precaution, an assurance plan is placed in motion. A sampling of mankind is hidden away in a protective bunker, placed in stasis where they will sleep through the entire event. They are set to awaken one year later to a perfectly balanced world. Nora Lane and Jason Rudolph are two of those who survive. 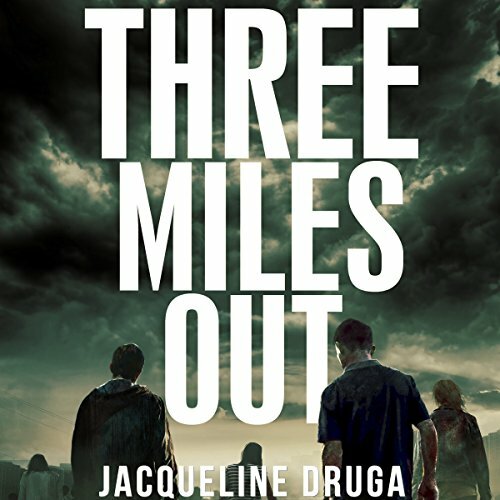 When they wake, like the other survivors, neither of them remember how they got there and why.